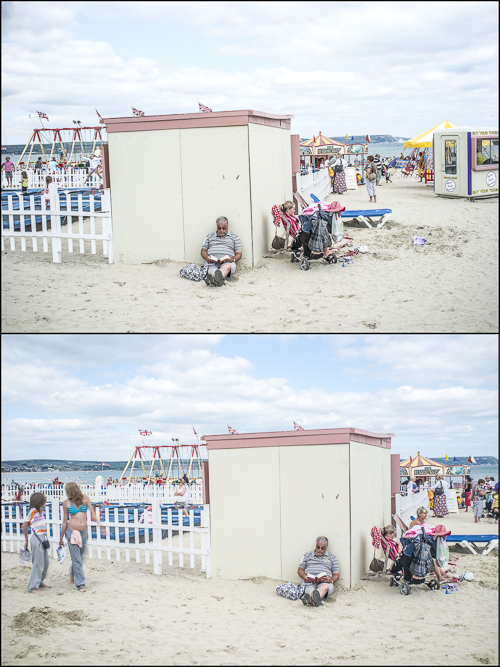 This is the set of photos where I strongly felt for the first time compelled to edit them in colour . 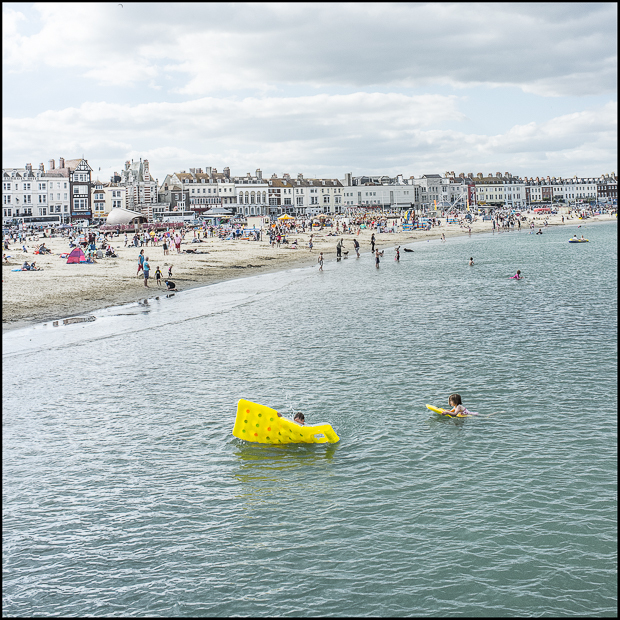 Weymouth is an “extraordinary” place for me: not only because unlike some of my other urban photos ( this beach isn’t exactly “wild” is it ? ) 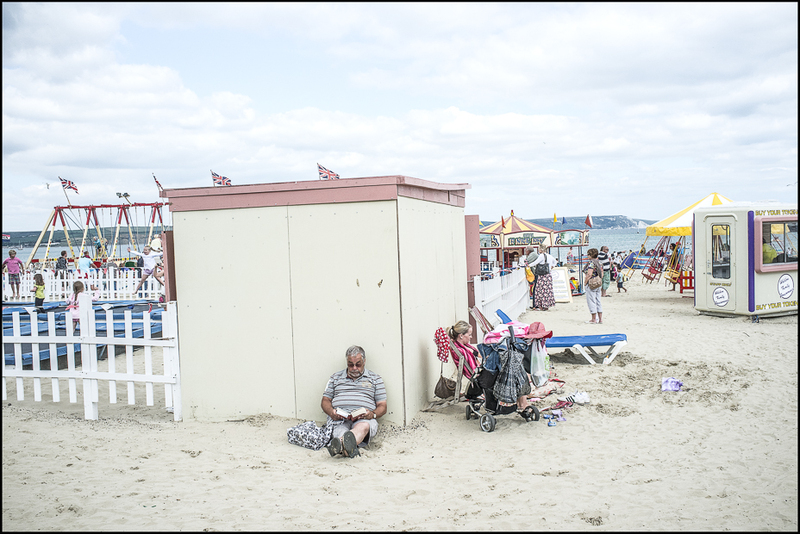 it is easily recognisable, but also because it is a tourist and leisure site and far removed from where I live. Chances are , I’ll never return there. Here are my three favourites. You can see more by clicking here or on any photo.